So, you’ve heard of NEO, China’s first Blockchain technology with an open-source framework. Truthfully, it had a spike in price last year with some fortuitous events. Investors and developers are in a remarkable position with the cryptocurrency. While NEO promises to lead the market, the team behind it all and traders face numerous hurdles in the years to come. In this guide, you will learn how to negotiate those hurdles when buying NEO. How Do I Get NEO Coins? Unfortunately, buying NEO with your cash reserves isn’t possible. You may have heard of cryptocurrency ATM terminals, but none exist for NEO. Although methods such as e-wallets (PayPal, Neteller, etc.) and wire transfers exist, they can be cumbersome and not accepted in many cases. 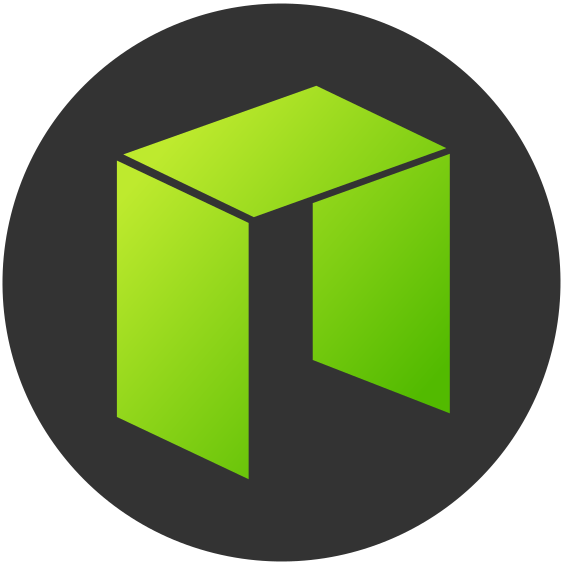 The most-used method of purchasing NEO is through the exchanges of another cryptocurrency, such as BTC and ETH. Getting Bitcoin is easy. You can get it with your cash from a cryptocurrency ATM, through peer-to-peer trading on a site like LocalBitcoins, or more popularly through an exchange. BTC is a preferred mode because of is universality — almost all NEO traders will accept it. However, Bitcoin is typically victim to more market swings and manipulation, which can be a detractor for some. 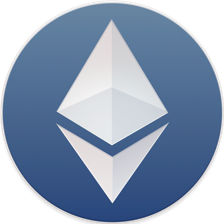 The second most popular coin, Ethereum, has trading locations across the Internet. Wherever there is an exchange, there is a market for ETH. This cryptocurrency is fantastic because the network supports many other promising projects and thus its price fairs better. Despite this, ETH is less readily accepted compared to BTC. How Can I Buy NEO on an Exchange Platform? Ready to begin? If so, take these steps into consideration. First, find a site such as Binance or CEX.IO do your trading on. Choose the site that is valid and legal in your country of origin. Also, consider your payment methods available on these sites and their respective fee structures. Possible methods can include credit/debit cards, bank transfers, and e-wallets. Once you’ve researched the site, create an account, upload funds, and buy! Possible trading pairs on these sites can be NEO/LTC, NEO/BTC, NEO/ETH, NEO/USDT, NEO/BCH, etc. The foremost step to obtaining any cryptocurrency is making an account on a site where you can buy them. 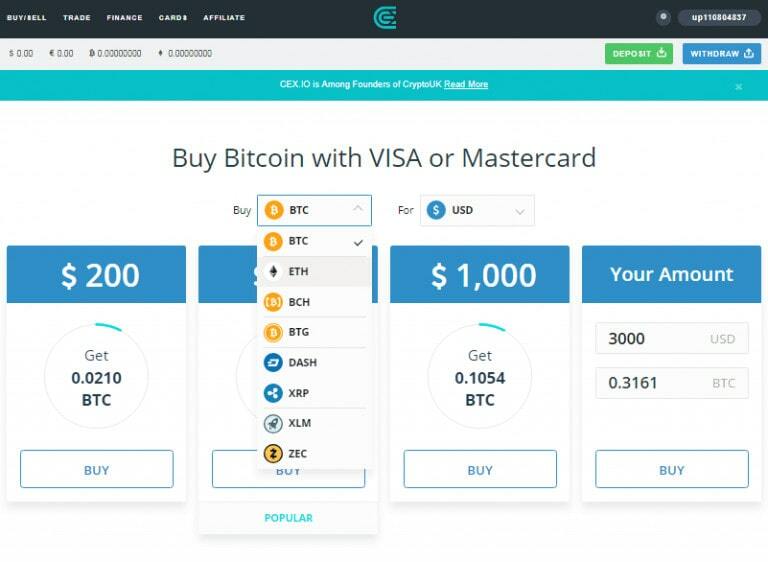 Let’s use the purchasing site CEX.IO as an example. When creating an account, you’ll be required to enter an email address, a valid phone number, and a password containing alphanumeric and special characters for a tight password. Alternatively, there is an account sync option for social media such as Facebook and Google+. Then, find and enter your confirmation code which will be sent via email or SMS. Once this is completed, you need to verify your ID. By hovering over your user ID and selecting “Verification”, you will need to upload a photo of your ID and provide other supplemental information. This is for everyone’s protection, including yours. After the easy verification process, you may pay with either a credit/debit card or a bank transfer. Cards are the most common option because they are fast and convenient, but you pay a processing and commission fee. The transfer method is less strict on fees but can take up to a week. After this, simply select the “BUY/SELL” option and enter how much you’d like to purchase. Your transaction will be processed immediately once you confirm it. Now that you’ve purchased coins from CEX.IO or another site, it’s time to exchange those tokens for NEO. We’ll use Binance as a reference. You’ll also need to register an account with this site and verify your identity with them as well. Follow the steps shown above with Binance and you’ll soon have an account ready for cryptocurrency transfer. Here comes the tricky part, but don’t worry — I’m here to help! Now, you must transfer your CEX.IO BTC or ETH to Binance. Let’s assume you purchased Bitcoin to begin. On the Binance site, select “Deposit Withdrawals”, which indicates your coins usable on the site in each of their individual wallets. There will be a search bar, so you can search for the Bitcoin wallet. 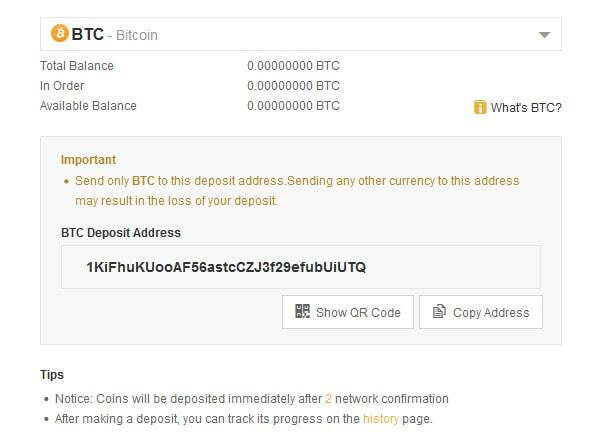 Hit “Deposit” and you’ll be given an address to which you may send BTC. Copy this address. Back on CEX.IO, go to the “Withdraw” menu. Select BTC. In the box where the site asks you to enter a recipient address, paste the string from Binance. Confirm your amounts and withdraw. Naturally, you’ll be prompted for your 2-factor authentication verification. 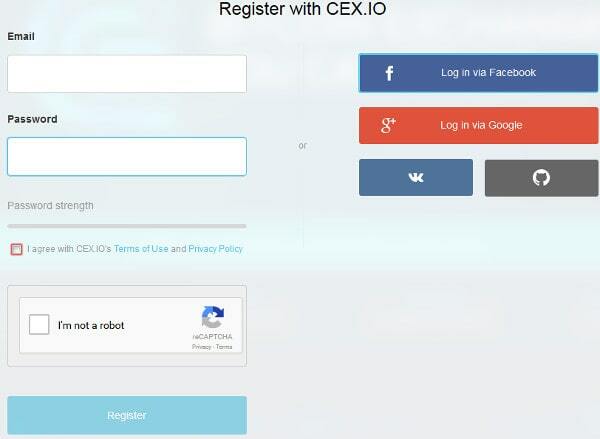 Additionally, you will need to confirm the transaction by following the instructions CEX.IO sends you via email. After a few minutes (or several minutes, depending on network congestion), the coins will be erased from your CEX.IO account and appear in your Binance account. Trading on the open market can be a daunting task. Just stick to the basics and you’ll be fine. There are two types of orders: limit orders and market orders. Market orders are easier because they instantly fill the order for the most optimal price at the given moment. 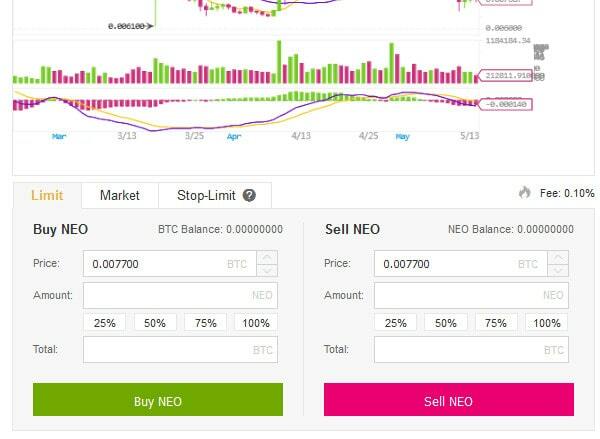 Select the giant “Buy NEO” button, then choose “Market”. By indicating how much NEO you want to buy, the market order will execute and instantly swap your cryptocurrency. You might not see your funds immediately. Remember how we searched for your BTC wallet in Binance when transferring from CEX.IO? Do the same process, except search for your NEO wallet. There you should see your currency NEO balance. Keeping coins on exchanges is relatively safe, but there is some risk as they have been hacked into before. Luckily, withdrawal is easy. 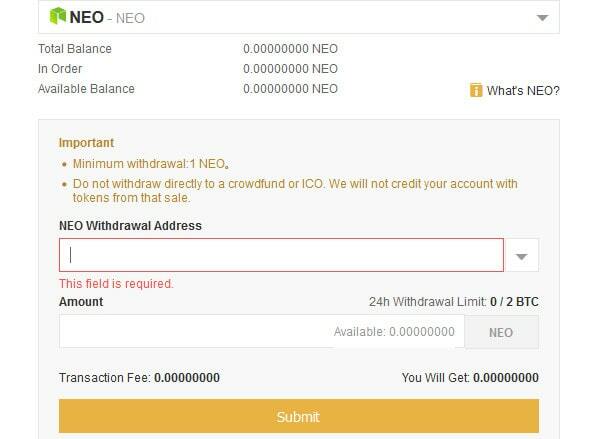 If you have a NEO wallet outside of Binance such as the Neotracker wallet, you can transfer the coin for free. In Binance, select the withdrawal option. You can put anything you want in the label area but paste your Neotracker wallet address in the box. Indicate an amount (probably all, right?) and send it. Remember, you’ll need to complete the 2-factor authentication and email procedures once again. Shortly, you will be able to view your NEO in your safe wallet. The difference between these two is significant. GAS tokens are suitable for fueling the blockchain by being uses for tasks such as smart contracts and resource allocation. The NEO token is the investment vehicle, and all 100 million of the coins were pre-mined. Interestingly, you can’t divide NEO below 1. GAS, on the other hand, is nearly infinitely divisible and are not currently generated. Are There Scam NEO wallets? There are scam wallets out there for any cryptocurrency. They put up a façade that tricks people into storing their hard-earned coins in them. Therefore, you should only use the official wallets created by the developers. Trusted wallets are indicated on NEO.org. Don’t be a victim. Play it safe! How Can I Earn GAS? NEO is unique because it provides GAS tokens while it is held in your NEON wallet. This means you won’t get GAS if its wasting away on an exchange or a third-party wallet. Install the NEON wallet by downloading the software from the cryptocurrency’s website. After installation, transferring your NEO is a simple process and you will begin reaping the GAS benefits. No. They cannot be divided below 1, so there are no decimal places involved. However, exchanges allow you to trade in fractions of ANS. These amounts, however, are just placeholders; if you attempt to transfer 9.23 ANS to your wallet, you will only transfer 9.0 instead. The other 0.23 are lost. How Fast are the Updates Synchronized? People rail against this platform because update synchronizations for the blockchain are incredibly slow. This means a clogged network can result in slow transfer times. There is no immediate fix, but current resources would not allow for high-volume transactions with confirmations. NEO used to be known as Antshares, an open-source token from China. 100 million units of it were pre-mined before the launch in 2014. It is split between two tokens, NEO, and GAS. GAS represents the permission to utilize the blockchain, while NEO is the asset/investment class of the blockchain. NEO is different because it is not-for-profit and an open-source network that anyone can contribute to and use. It aims to digitize a smart economy that is built on a distributed, anonymous network with the automation of smart contracts and other tools. Mobile: All licensed by MIT, mobile apps are available for iOS and Android. They allow sending, receiving, and storing of the token. You can also claim GAS with them. Desktop: Desktop wallets are available for Linux, Windows, and Apple products. Several are developed by the official NEO Project and have offline synchronization. Great for installed, light use. Web: Developed chiefly for Chrome, the online wallets act as a storage utility and blockchain explorer. One wallet, OTCGO, even serves as an exchange. While password protected, these options also offer a private key login option.